As we age, our vision changes. For people younger than 38 years old, distance only glasses work great at all distances. If you are past 45 years old, you likely need glasses for either distance or near, or both. When we look in the distance, the natural lens in the eye relaxes. 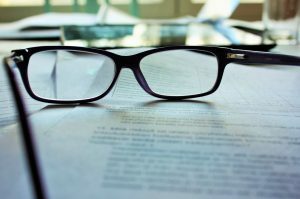 When we read at near or at the computer, the lens contracts, or flexes to enable us to focus clearly. As we get older, the lens loses it’s flexibility, making it more difficult or impossible to focus at the computer or near. For people between 38 and 44 years old, or younger people who are on the computer or tablet long hours each day, a Sync Lens is the best. The Sync Lens takes reading strain off without being a multifocal lens and without affecting the distance vision. For patients between 42 and 47 years old that see great in the distance but just need computer/reading glasses, single vision computer glasses will work well. But after 47 years old, the lenses for midrange won’t work optimally for near and we have to prescribe a multifocal lens, with the top for midrange and the bottom for near. Patients are very satisfied with those. Some patients are annoyed having to put glasses on and off all day. For people who don’t wear glasses driving, but want a lens that works best in the office, the ID Space, Screen, or Zoom lenses are best. 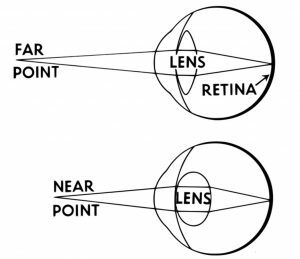 The ID-Space Lens, for example, is a progressive where most of the lens is for mid-range and near, but there’s also a small area at the top of the lens for distance. It’s not a great lens for driving, but works wonderfully in the office! Our certified opticians can help you decide which is best for you. We will often use the drawing below to illustrate these options to patients over the age of 47 years. As the illustration shows, midrange computer glasses won’t work for these patients at near. We find that computer/reading progressive lenses work great for these patients. Regular progressive glasses work great for all distances, but sometimes patients older than 47 years old want glasses to use mostly on the computer and near, but want to see clearly in the distance sometimes without having to take the glasses off. For them, the Hoya ID-Space lens works well as discussed above. A general progressive works great for patients that are not on the computer all day and don’t want to put glasses off and on throughout the day. 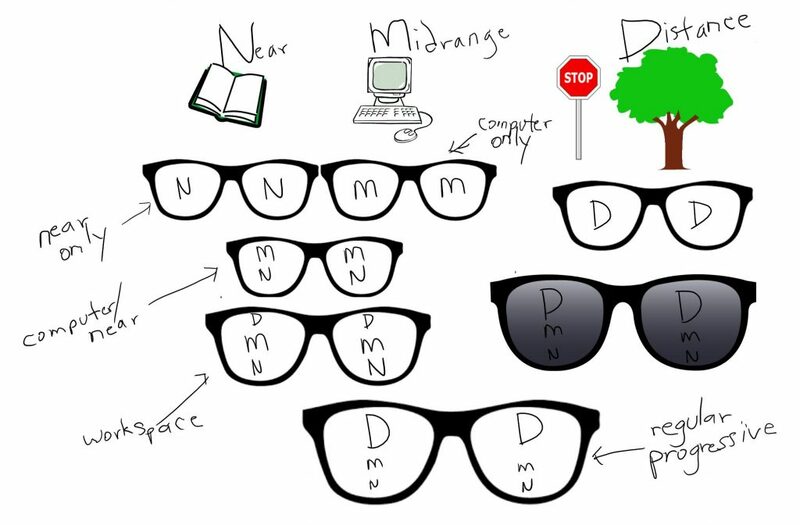 There are different types of regular progressive lenses, depending on your needs. Our certified opticians will help you decide which option will work best for you. There are also many options for scratch resistance, tinting, anti-reflection, lens thickness, polarization, blue-blocking, etc, depending on your needs. Come in without appointment to discuss these options with our opticians. Call 480-812-2211 if you need an appointment to evaluate your vision needs with our doctors.